I love this recipe because it can be made in 10 or 15 minutes and is super EASY (and the cleanup is easy as well!) It packs protein, veggies and good fats into one perfect dinner dish. This recipe can easily be adapted and changed by switching different vegetables and greens for a different flavor. To make this recipe vegetarian swap turkey for tofu or two different types of beans. Heat stove to medium heat – spray skillet with coconut or olive oil. Add ground turkey and cook about halfway through on one side before using a spatula to separate the turkey into smaller pieces. 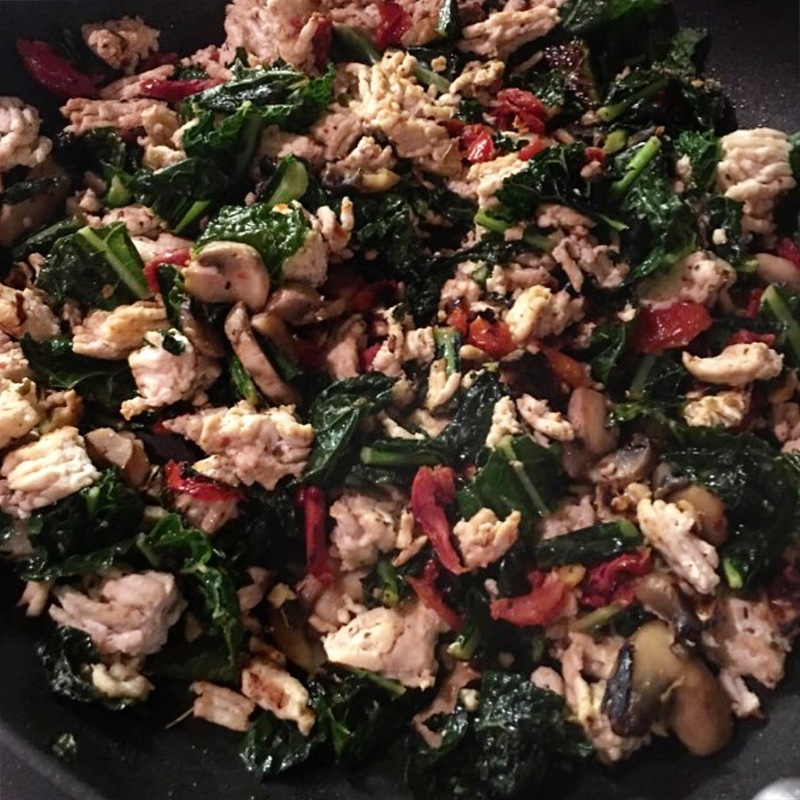 Add in the mushrooms, kale or spinach, and sundried tomatoes and cook the turkey all the way through. Turn up the heat a notch to brown the turkey and add the seasonings and cheese – mix around until you have a nice scramble.